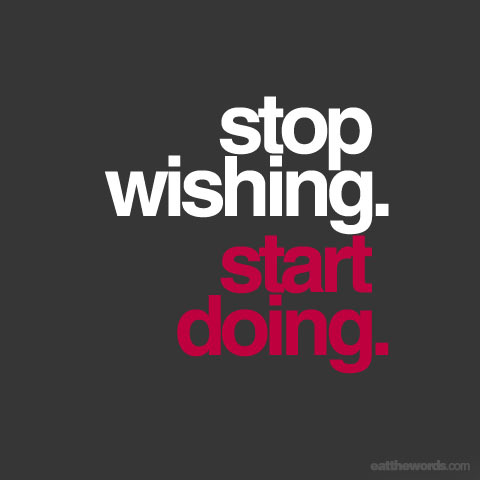 Thought for the day: Stop Wishing. Start Doing. Your dreams — and biggest training aspirations — can come true. Just start doing. Start planning. Start today. Right now. Pause for a second. What do you really want? What is something you’ ve always wanted, that once accomplished, will leave you fulfilled and happier? And do it. No one can tell you what it is but you.